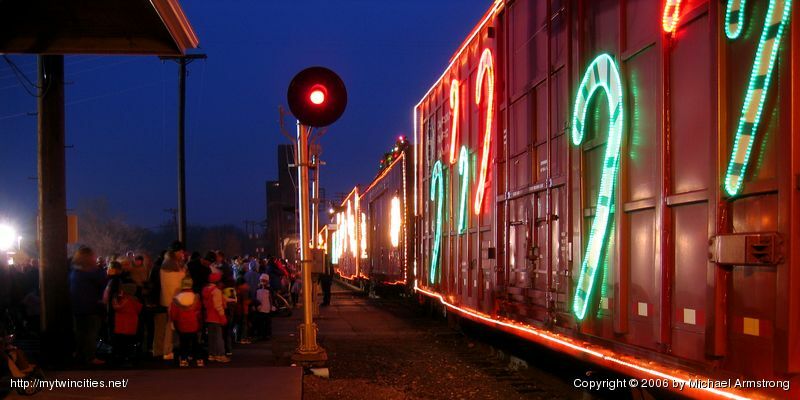 Just before the CP Holiday Train headed for its next stop in 2005. The side door on the car with the trees on top opens to reveal a stage where a couple bands play a song or two each. It's kind of a cool deal, they pull up, whip open the door, and start a concert. Then, when it's time to go, they just close the door and go. The car even has loudspeakers hidden behind doors near the upper-left and upper-right.